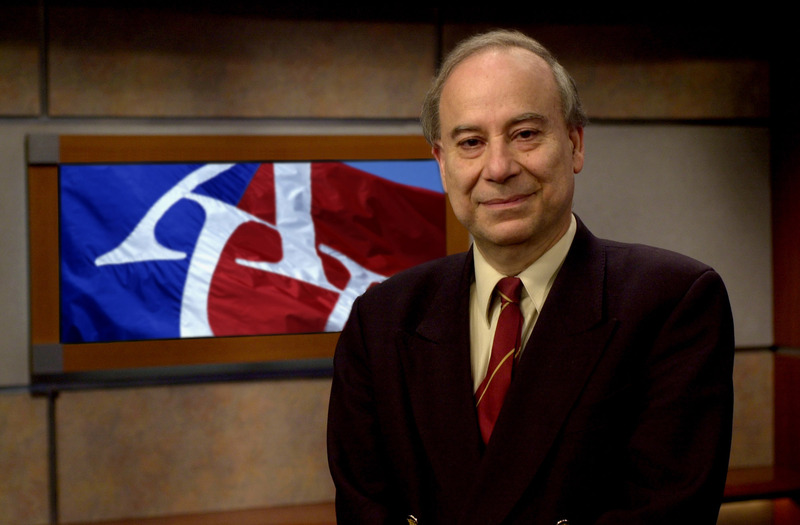 Professor Akbar Ahmed is the Ibn Khaldun Chair of Islamic Studies in the School of International Service at American University in Washington, D.C. He has served as a Nonresident Senior Fellow at the Brookings Institution and was the First Distinguished Chair of Middle East and Islamic Studies at the U.S Naval Academy in Annapolis, MD. Ahmed belonged to the senior Civil Service of Pakistan and was the Pakistan High Commissioner to the U.K. and Ireland. Previously, Ahmed was the Iqbal Fellow (Chair of Pakistan Studies) and Fellow of Selwyn College at the University of Cambridge. Ahmed was the Diane Middlebrook and Carl Djerassi Visiting Professor and Visiting Fellow of Jesus College for the Fall term of 2012 at Cambridge University. He has also taught at Harvard and Princeton Universities. He holds a Ph.D in Anthropology from the University of London, School of Oriental and African Studies (where he is placed in the “notable alumnus” category) and a Diploma in Education (“double distinctions”) and M.A. from the University of Cambridge. In addition, he was awarded an Honorary Doctorate of Law from the University of Liverpool (2007) and an Honorary Doctorate from Forman Christian College University in Lahore, Pakistan (2013), where he has a gold medal for standing first in English and History. Ahmed was declared The Professor of the Year for the DC area in 2004 by the Carnegie Foundation. He has also been involved with interfaith efforts in Washington, DC. The Bishop of Washington hosted an unprecedented Evensong dedicated to Ahmed at the National Cathedral and he gave a sermon as part of the memorial service commemorating the decade since 9/11 at St. Alban’s Church at the National Cathedral. With Professor Judea Pearl, the father of Danny Pearl, Ahmed conducted a series of high-profile dialogues to promote better Jewish-Muslim understanding. The two received the first ever, prestigious Purpose Prize. The Gandhi Center in Washington, D.C., gave him the inaugural Peace Award. He was given the Medal of Excellence and the Star of Excellence in Pakistan and was invited to address the Senate of Pakistan on relations between the West and the Muslim world in a special session in 2014. Ahmed is the author of over a dozen award-winning books, including Discovering Islam, which was the basis of a six-part BBC TV series called Living Islam. Ahmed conceived and completed The Jinnah Quartet based on the life of M.A. Jinnah to illustrate the compatibility of Islam and democracy within the context of a modern state —Jinnah, a feature film starring Sir Christopher Lee; the documentary film Mr. Jinnah: The Making of Pakistan; the academic study Jinnah, Pakistan, and Islamic Identity: The Search for Saladin; and a graphic novel, The Quaid: Jinnah and the Story of Pakistan. He is the author of a quartet of books with Brookings Institution Press examining relations between the West and the world of Islam after 9/11—Journey into Islam: The Crisis of Globalization (2007); Journey into America: The Challenge of Islam (2010; winner of the 2011 American Book Award and the subject of a documentary film Journey into America); The Thistle and the Drone: How America’s War on Terror Became a Global War on Tribal Islam (2013); and the forthcoming Journey into Europe: Islam, Immigration, and Identity. Two of his books were re-published in 2011 as part of the Routledge Revivals— “restoring to print books by some of the most influential academic scholars of the last 120 years.” He is also a published poet and playwright—Suspended Somewhere Between, a book of verse (Busboys and Poets 2011); and Two Plays (Saqi Books 2009). His play Noor has been performed at Theater J in Washington, D.C., the American University of Sulaimani, Iraq, and the Katzen Arts Center of American University. He is regularly interviewed by CNN, NPR, BBC, and Al-Jazeera and has appeared on the Oprah Winfrey Show, Nickelodeon, and The Daily Show with Jon Stewart. He has also appeared on a number of Pakistan chat shows including a two-part interview with Saleem Safi on GeoTV, Moeed Pirazada on Waqt TV, and Shumaisa Rehman on Pakistan TV. His numerous articles have appeared in, among many others the New York Times, Foreign Policy, Washington Post, CNN, Al Jazeera, The Guardian, LA Times, National Geographic, and Christian Science Monitor.